Call of Duty: Black Ops 4 Cuts Single-Player (Report) | Nerd Much? Polygon dropped a bit of a bomb on us with their recent report on Call of Duty: Black Ops 4. The site has sources claiming that 2018’s Call of Duty outing will forgo a typical single-player campaign completely. It sounds as though this wasn’t always the plan. A single-player campaign was being developed. However, as development inched closer and closer to the title’s October 12th release date, it became evident the single-player mode wouldn’t reach completion. This resulted in Treyarch pulling the plug apparently. The report suggests the developer will instead focus additional efforts into Black Ops 4’s multiplayer suite and Zombies mode. 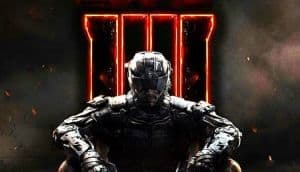 Polygon’s sources stated that the team at Treyarch is also hoping to further flesh out cooperative modes to mediate the loss of single-player. If these rumors hold water, this would make Call of Duty: Black Ops 4 the first mainline Call of Duty title not to have a traditional campaign. This would be unfortunate, of course. There are many fans who simply aren’t interested in the multiplayer offerings of the series. And instead play the franchise’s single-player campaigns which are typically blockbuster-like affairs. This is especially true for the Black Ops series and its widespread narrative. With Black Ops 4, the Call of Duty subseries will become the longest-running in the franchise as it surpasses Call of Duty: Modern Warfare 3. Should Activision hold back on a story mode for the game, it will be curious to see what fan backlash occurs due to the decision. It’s highly unlikely the publisher will stray from the series’ typical $59.99 price point. And it will be interesting to see whether they intend to deliver a story mode of sorts as downloadable content post-release. Activision is likely to stay mum on the topic for at least another month. We’ll find out what’s going on with the game when Activision debuts it to the world on May 17th.